Q: Is it possible to convert PDF documents to Word documents (.doc and .docx)? 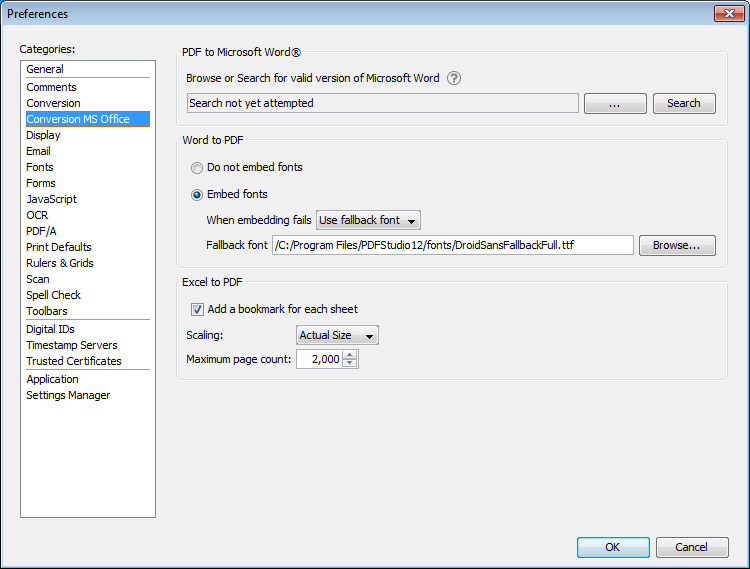 A: Starting in PDF Studio 12, you can convert PDF to Word if you have Microsoft Office Word 2013 or later installed on your computer. 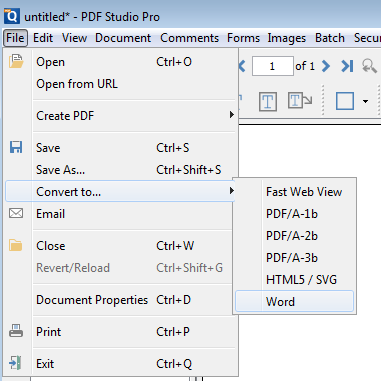 PDF Studio 12 added integration with Microsoft Word that will send PDF document to Word with a single click. The PDF documents will be converted on the fly by Microsoft Word and then the new Word document will be displayed. 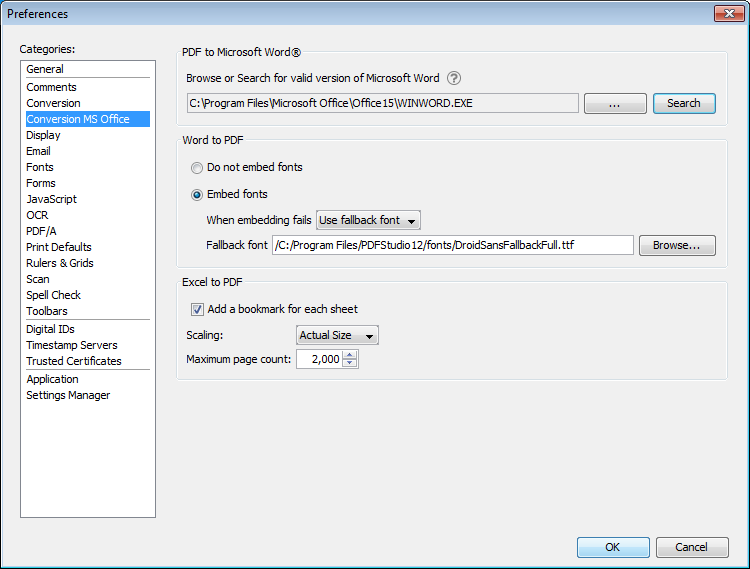 You can then save the newly created Word document in doc or docx file format. NOTE: This feature is only available on Windows as the Mac version of Microsoft Office does not come with this feature. For Mac or Linux check out the free PDF solutions to convert PDF to Word. – When winword.exe has been found, click OK to apply changes. PDF Studio 11 and below do not come with integration to MS Word. 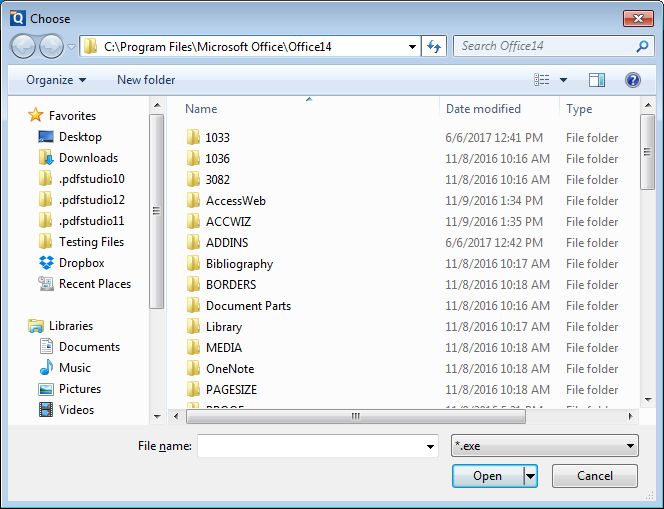 Check out the free PDF solutions to convert PDF to Word on Mac, Windows or Linux suggested in our knowledge base article.